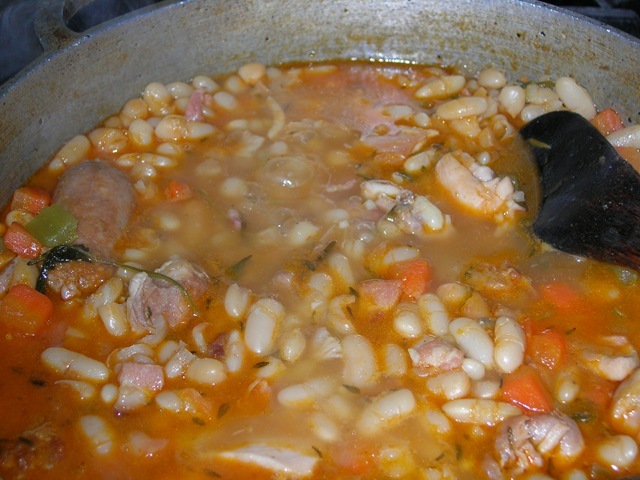 Cassoulet is one of those dishes if done right keeps you coming back for more. 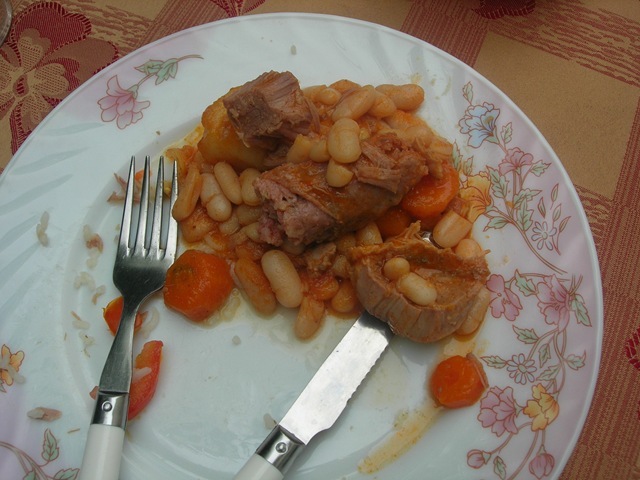 Fortunately, my first experience with cassoulet was a good one, and as authentic as they came. In September, I was fortunate enough to be in Paris, France. We made our stops at Berthillon, Pierre Herme, and Poilane. 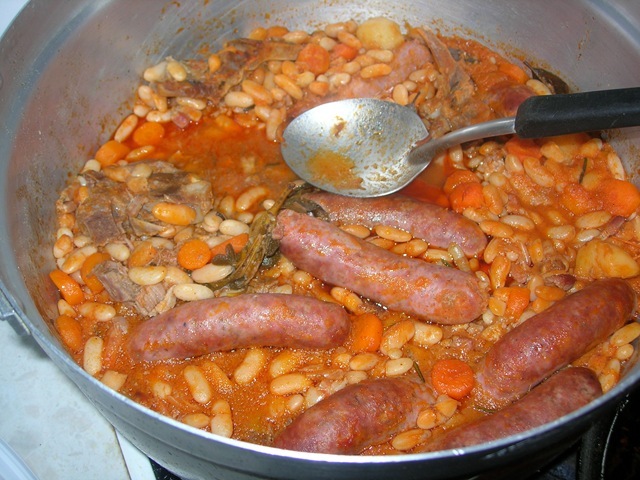 But my heart yearned for this bean stew native to the south of France. One of my aunts whom we visited there heard my call and set down a large dutch oven in front of me that I will never forget. I went home with one mission: to prepare a cassoulet of equal calibre. That hefty mission unfortunately held me back for a couple of months. Toulouse sausages are not that easy to come by folks, and that discouraged me. Then I started watching food network, and noticed the rise in popularity of this somewhat unknown dish in North America. Many of the chefs made substitutions, and I figured I’d do the same. 1. Soak the white beans overnight. If in a time crunch, place white beans in a pot and cover by 3 inches of water, bring to a boil for 2 minutes, turn off heat, and let beans stand covered for 1 hour. 2. In a large dutch oven, heat olive oil and brown sausages. Remove sausages when brown on all sides (its okay if they are still pink in the middle). 3. Season chicken thigh pieces with salt and pepper and brown in remaining olive oil. Remove from pan (its okay if they are still pink in the middle). 4. Next, add smoked bacon to the pan. Fry until golden, and visible drippings form in pan. Add duck fat, onion, garlic, celery, carrots, and all herbs to the pan. Sautee until onions are translucent. 5. Add tomato paste, and cook mixture for 10 minutes. The oil in the pan should take on the tinge of the tomato, and the paste should caramelize. 7. Add beans, chicken stock, and season liberally with salt and pepper. 8. Return sausages, and chicken to the dutch oven. 9. 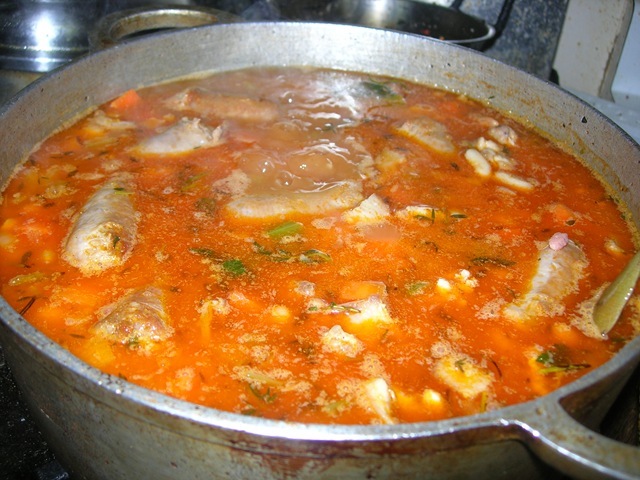 Cover, and cook for 1 hour and 45 minutes, or until beans become tender, and liquid reduces slightly.